Snow…snow…and more snow. What is a girl to do? I’m going to show you how I embraced the (hopefully) last of the cold weather with a heavy sweater, coat, snow boots, the works. It may not look like it, but this outfit was super warm, mainly because of this Madison 1 army-style coat. The material is really heat-retaining but somehow still light, which I love because I hate big, clunky coats. This coat comes with a detachable inside lining and a fur hood but, again, not one for clunky. These jeggings (alongside my fave black leggings) are the holy grail in my closet. I cannot rave ENOUGH about The Gap Factory Store which, if you’ve read my last few posts, you’ll know is where I got these staple items. I love the fit and the quality is great! If you have a Gap Factory Store near you, definitely check it out! Also still obsessed with my sunnies from Quay Australia, which I talked about in my last OOTD. On to my footwear, my sister just got me these snow boots from Sorel and it was just in time for our biggest snow storm of the season. 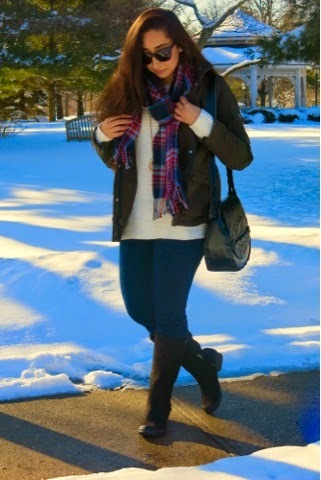 They still have the look of the typical Sorel snow boot but with a little more of a feminine touch! AND they’re completely waterproof! 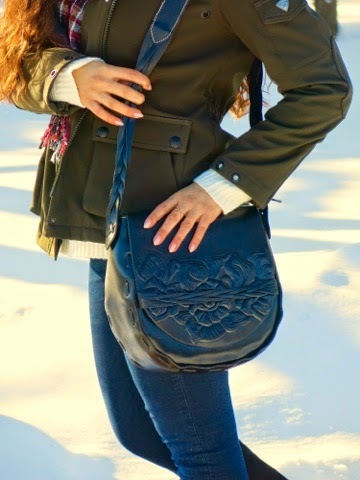 Last, but definitely not least, the show stopper…my new, beautiful Patricia Nash bag. It was love at first sight. We spend all our time together. We get each other. Things could not be going better. I’m truly happy. My love, my soulmate…is this bag. 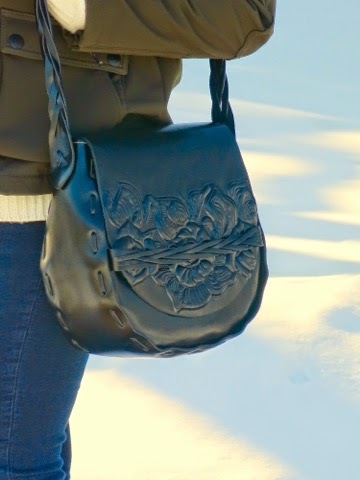 No but seriously, made of smooth, tooled Italian leather, this bag could not be anymore beautiful and well made. I’m now a lifetime Patricia Nash lover.